1. 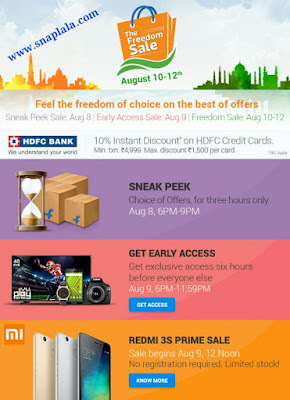 Under the offer all HDFC Bank Credit Card holders("Cardholders") are eligible to get an additional discount of 10% on all products on Flipkart.com, m.flipkart.com & mAPP ("Offer"). 5. An instant discount will be awarded to HDFC Bank Credit Card holders at the time of making the payment. 8. Offer is not applicable on LeTV range of televisions & on LYF Flame 8 phones. 9. Offer is not applicable on Corporate & Commercial Cards.